3. They are perfect size to travel with, fit for beer bottles and soda bottles. You can cover your drink when you are outside, then there is no bugs to fly in bottles. 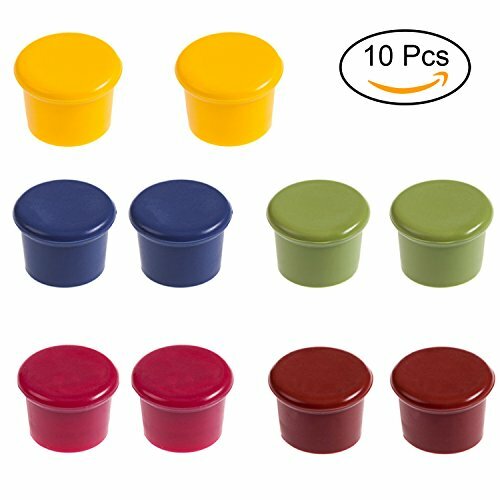 4.Those Wine Stoppers are made of high quality food grade silicone, 100% meeting FDA approved,they are no harmful to your body. 5.It is environmentally friendly and waterproof. It can stop pollution from dust and keep liquid fresh. Colors: Red, Blue, Yellow, Green, Purple Red. If you have any questions about this product by DOMIRE, contact us by completing and submitting the form below. If you are looking for a specif part number, please include it with your message.